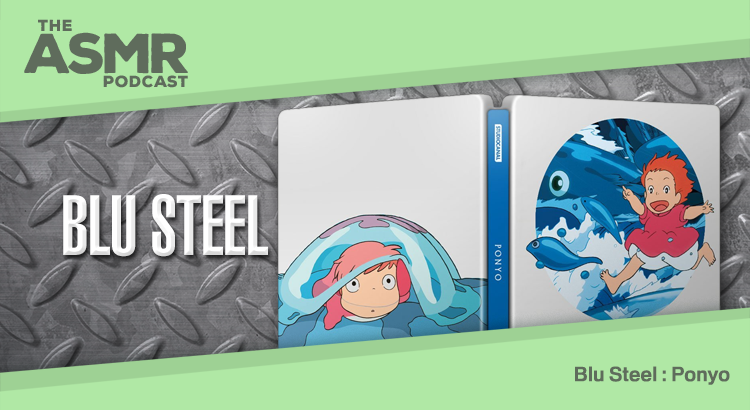 In Episode 6 of The ASMR Podcast we welcome back Blu Steel, a series of Scottish accent, whispered-speech, aurally-stimulating reviews of Steelbook Blu Ray releases. Blu Steel is hosted by Tariq Sheikh and this episode looks at Ponyo. Ponyo (2008) was directed by Hayao Miyazaki; stars Cate Blanchett, Matt Damon and Noah Cyrus in the English language tranlation (in the roles originally voiced by Yûki Amami, Kazushige Nagashima and Yuria Nara); and is available on Steelbook Blu Ray from Studiocanal.